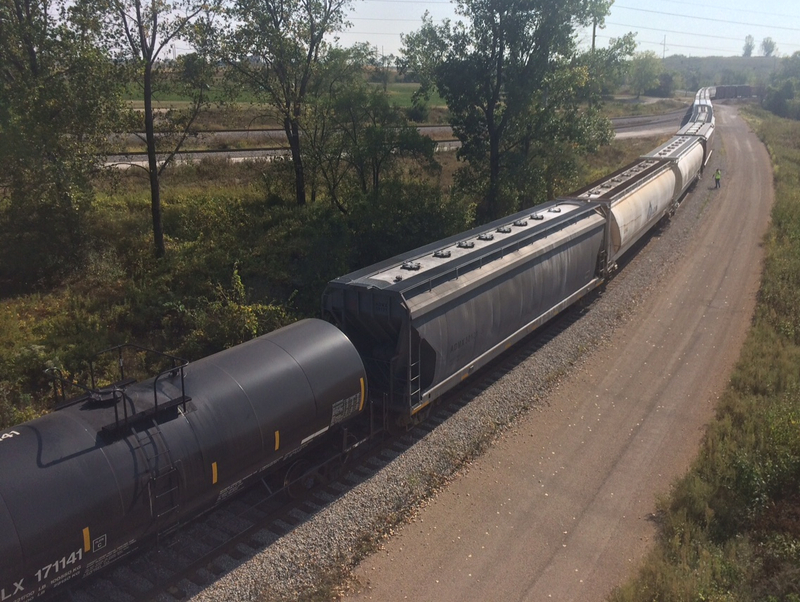 A train near the ADM plant in south Cedar Rapids on Sept. 21, 2017. Iowa’s 3,851 miles of track won’t be enough to carry all the freight state Department of Transportation planners think Iowa will handle in the future. Those planners expect demand on Iowa’s railroads for shipping goods to increase 52 percent from 2013 to 2040. “In general, I think Iowa has a good capacity already, infrastructure-wise, to handle the existing business and what’s proposed for the future,” Brian Buchanan, manager of corporate development at Canadian National Railway, said. But challenges exist, including raising capital and making sure enough railroad rights-of-way exist. This IowaWatch Connection report digs into those challenges with Buchanan; Meraz; Jeff Woods, manager – marketing and business development at Alliant Energy Transportation; and Andy Laurent, director of business development at Iowa Interstate Railroad Ltd.